This athletic fit Paddle Hound Women’s Cowl Neck Hoodie will quickly be your daily go-to! Featuring a UPF +30 solar protection, it’s made out of 92% Polyester and 8% Elastane. 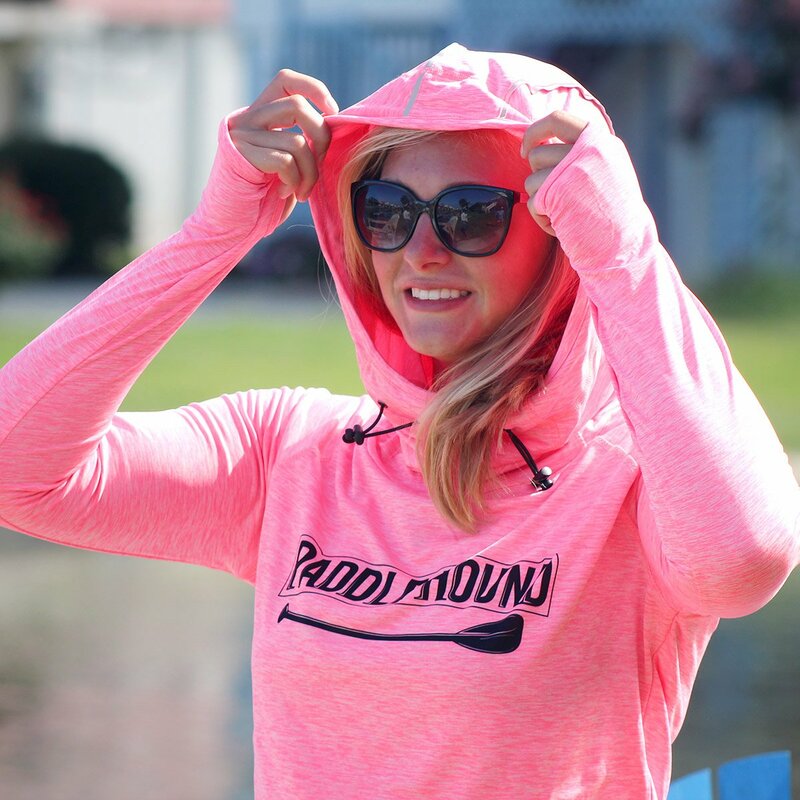 The Raglan sleeve creates an ease of movement and the fabric is powered by PURE-tech™ moisture wicking technology. There is a reflective element on the hood for low light conditions and a tab at the neck to keep earbuds and headphone cords out of the way. It also has thumb hole openings. 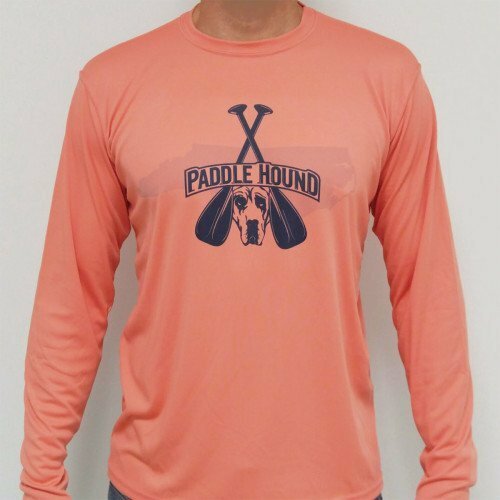 The large classic Paddle Hound logo is sublimated into the shirt and won’t crack, peel or fade over time. 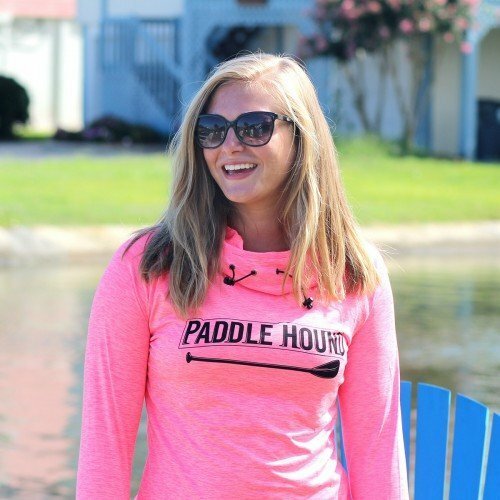 Whether you’re on the water with your paddle or enjoying a run with your favorite hound at your side, this hoodie will keep you cool and comfortable along the way!